heliosolaire offers you the complete range of photovoltaic modules TrinaSolar, the Asian manufacturer maintains the leading photovoltaic module manufacturers in the world with high yields at affordable prices. Perfectly suited for large-scale photovoltaic projects on large roofs or solar power plant projects on the ground. The Trina Solar photovoltaic modules are designed with semi-tempered double glazing for high performance and efficiency in extreme environments with high levels of humidity and radiation. The power of Trina Solar’s monocrystalline photovoltaic panels is available up to 375 Wp, TrinaSolar photovoltaic panels are well suited for applications connected to solar power plants or photovoltaic projects on large roofs. Thanks to its 72 cells, the Solar DUOMAX-M PLUS photovoltaic module is the ideal solution for any solar power plant project with limited space. Accompanied by a 30-year linear power guarantee, DUOMAX M Plus photovoltaic modules can generate a return on investment faster than conventional modules on your solar power plant project. Trina-Solar-Honey-Poly.pdf The solar module of the Honey series Trina Solar ALLMAX is a very versatile photovoltaic module, designed for both residential and commercial use. This solar module Trina Solar is a real asset quality price for any solar project. Equipped with 60 polycrystalline photovoltaic cells available in 270 to 285 Wp, the Honey photovoltaic module also comes with a linear production guarantee over 25 years. Trina-solar-heliosolaire-monocristallins.pdf The solar module of the Honey series Trina Solar ALLMAX is a very versatile photovoltaic module, designed for both residential and commercial use. This solar module Trina Solar is a real asset quality price for any solar project. Equipped with 60 monocrystalline photovoltaic cells available in 280 to 315 Wp, the Honey photovoltaic module is also backed by a linear production guarantee over 25 years. 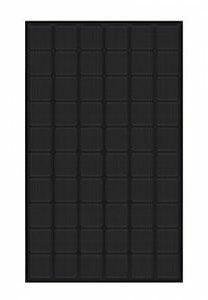 The solar module of the manufacturer Trina Solar DUOMAX in 60 cells are very versatile photovoltaic modules, particularly suitable for photovoltaic projects in large roofs or solar power plants. This solar module Trina Solar is a real asset quality price for any solar project. Equipped with 60 monocrystalline photovoltaic cells available in 270 to 285 Wp, the DUOMAX photovoltaic module is also accompanied by a linear production guarantee over 30 years. The solar module of the manufacturer Trina Solar DUOMAX of the series Honey are very versatile photovoltaic modules, particularly suitable for photovoltaic projects in big roof or solar center. This solar module Trina Solar is a real asset quality price for any solar project. Equipped with 72 monocrystalline photovoltaic cells available in 320 to 375 Wp, in addition the DUOMAX photovoltaic module is accompanied by a linear production guarantee over 30 years.